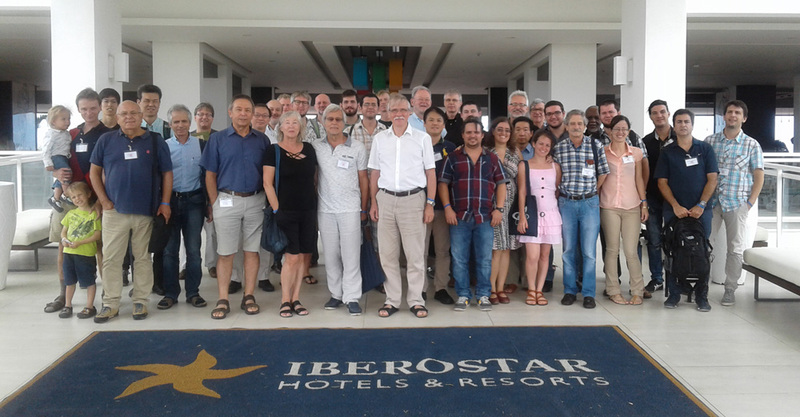 The eight International Symposium "Atomic Cluster Collisions" (ISACC 2017) took place in Varadero, Cuba during October 2-6, 2017. ISACC 2017 brought together experts from the atomic and molecular physics and cluster physics communities, studying both experimental and theoretical aspects of the structure and dynamics of complex atomic, molecular, cluster and biological systems by means of photonic, electronic, and atomic collisions. Particular attention was devoted to dynamical phenomena, many-body effects taking place in clusters and nanoparticles, nanostructures, molecular and biological systems, which included problems of fusion and fission, fragmentation, electron dynamics, phase transitions, and radiation damage. ISACC 2017 gathered participants from Europe, United States, Canada, Japan, Cuba, Argentina and Brazil. The meeting was organized by the Cuban Physical Society and the Instituto Superior de Tecnologías y Ciencias Aplicadas (InSTEC) under the auspices of MBN Research Center. Conference program and the book of abstracts can be found at the official portal of the ISACC conference series.